She was born March 9, 1937 in Peru, to Eugene and Hazel (Miller) Lane. Patsy married Johnny A. Honeycutt in Wabash on Nov. 5, 1954. She retired from P.N. Hirsch in Wabash after 12 years. She was a charter member of Christian Heritage Church, where she taught Sunday School 20 years. Patsy enjoyed planting flowers, reading, sewing, ceramics, and spoiling her grandchildren. 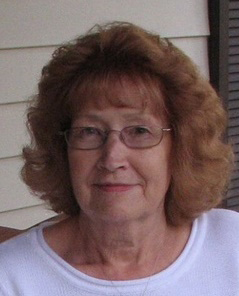 She is survived by her husband Johnny Honeycutt; three children, Judy (Bob) Gaines, Michael (Pam) Honeycutt, and James (Melanie) Honeycutt; and daughter-in-law Sheryl Honeycutt, all of Wabash; 10 grandchildren, Courtney Blocher and Mallory (Mike) Kerr, both of Indianapolis, Brooke (Mike) Buzbee of Lafayette, Heath Honeycutt of Wabash, Ryan (Sarah) Honeycutt of Andrews, Paul (Ashlee) Harris of Pennville, Andy (Sandy) Harris of Chicago, Holly (Jeremy) Barnes and Nicholas (Evette) Honeycutt, both of Wabash, and Katie (Parker) Stouffer of North Manchester; 15 great-grandchildren; nine brothers and sisters, Junior (Viola) Lane of Speicherville, Rosie (Larry) Miller of Wabash, Iva Wright, Steve (Lavaughna) Lane, and Linda Allen, all of North Manchester, Peggy (Jerry) Shepler of Wabash, April Lester and Larry Lane, both of North Manchester, and Jerry (Robin) Lane of Liberty Mills. She was preceded in death by her parents, son Tony Lee Honeycutt who died March 9, 2009, and a great granddaughter. Funeral services were Friday, March 3, 2017, at Grandstaff-Hentgen Funeral Service, 1241 Manchester Ave., Wabash with the Rev. Tim Prater officiating. Burial was in Memorial Lawns Cemetery, Wabash. Visitation was Thursday at the funeral home. Preferred memorial is the Christian Heritage Church Sunday School Program. The memorial guestbook for Patsy can be signed on-line at www.grandstaff-hentgen.com.